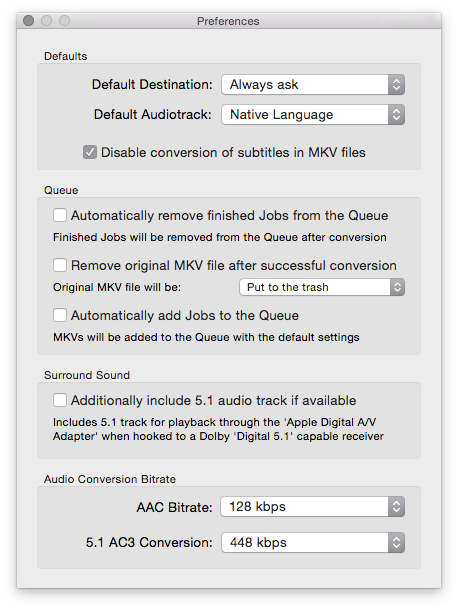 MKV2ATV is an application that can convert video files in the MKV container format to MP4 video files that are playable on the 'Apple TV'. MKV2ATV can convert most common MKV files quickly and has a queue for converting hundreds of files at once. 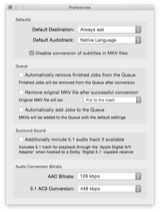 Because MKV2ATV doesn't re-encode the video track, conversion is fast and the resulting video has the exact same high video-quality as the source file. 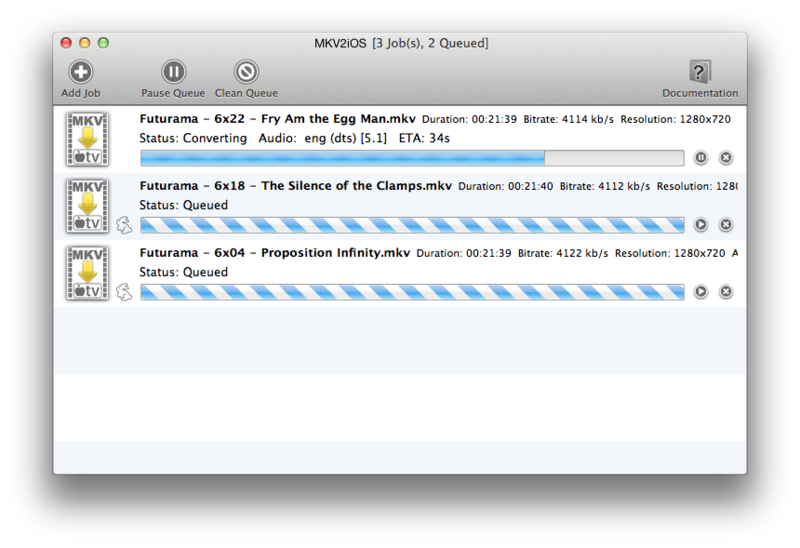 Most subtitles are supported (see F.A.Q.). 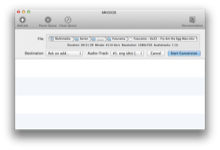 MKV2ATV can include a 5.1 surround audio track (if available) so you can play your movies in surround sound - when your Apple TV is connected to a 5.1 AC3 capable and compatible receiver. 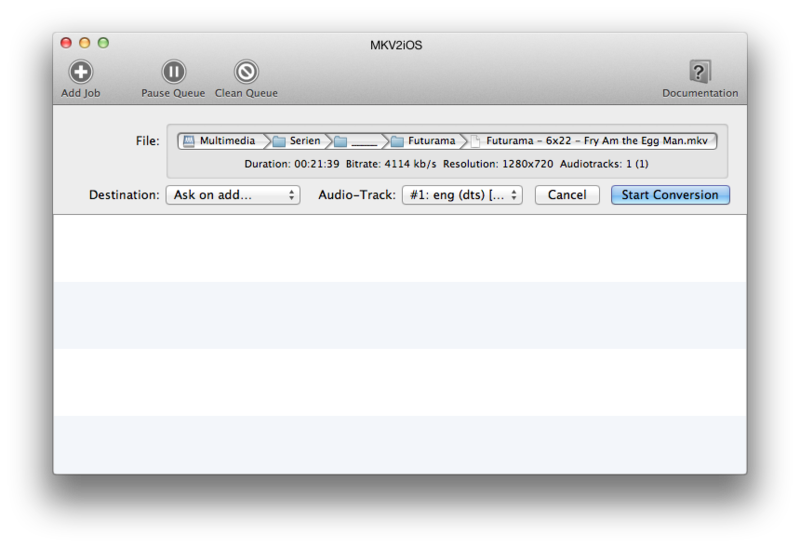 MKV2ATV is licensed under a proprietary license and costs 4.99$. 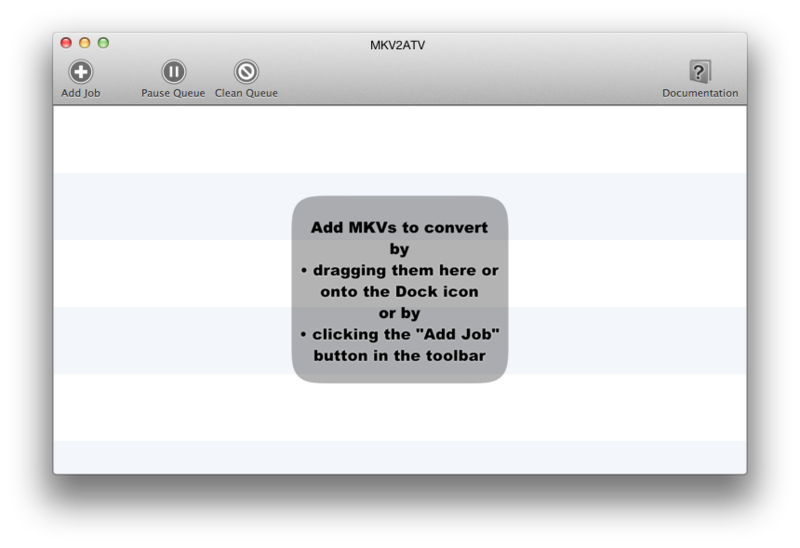 Technical support is available only from within MKV2ATV (in the "Help" menu).